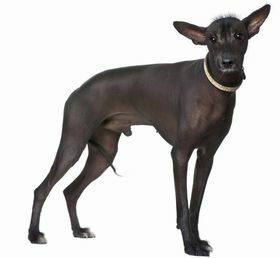 The Xoloitzcuintli is considered to be a healthy and hardy breed, so minimal health conditions exist for this breed. It is believed that his pup has been bred thoroughly and that genetic and inherited conditions have not become a problem when it comes to breeding. The biggest concern that you may need to be worried about is skin problems. It is important that you pay close attention to your pup’s skin, especially since hair is minimal. This means that if your pup is left out in the sun for too long, he or she may burn. If you know that you will be outdoors with your pup for a long time, you should apply a sunscreen over their body to help protect from burns. If burns do occur, it is important to treat them properly and quickly to prevent an infection. When your pup goes outdoors in the winter time, you need to make sure that you place a coat or boots on him or her to prevent their body from freezing. You will notice that your Xoloitzcuintli’s skin is tough and does not easily nick or become injured, which is a good thing, especially if your pup is outdoors a lot. Your pup will usually adapt indoors to the climate, but if you notice that he or she is too hot or cold, you will need to adjust his or her situation. The Xoloitzcuintli has a life expectancy of 14 to 17 years. 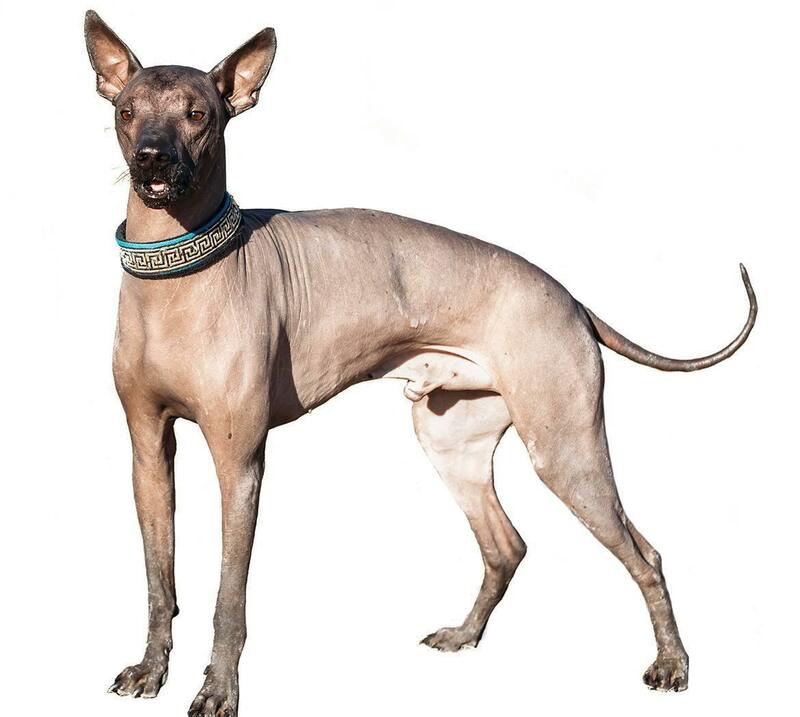 The Xoloitzcuintli is a stunning breed and is very agile while remaining graceful. You will find that your pup enjoys being outdoors and is able to run quickly. This breed is slender and sleek with a distinct appearance that will capture and grab your attention. You will find that while this breed is active outdoors, your pup will calm down inside of your home and spend most of his or her time cuddling or lounging somewhere. You will notice that the Xoloitzcuintli feeds on human interaction and does require a lot of attention. Your pup wants you to love him or her and will provide just as much, if not more love back. If your pup is left alone for a long period of time, he or she will become upset and may act out. This breed is a great watch dog who is wary of strangers and will alert you to their presence. You will find that your pup is often reserved when he or she is around those that he or she does not know. With early socialization, you can weed out this behavior. This breed does get along okay with children and will not have a problem, but some of the smaller Xoloitzcuintlis may become injured when children play rough. You will need to provide your pup with some exercise and also a walk or two during the day. 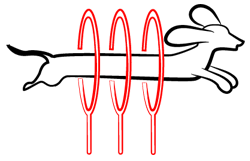 As mentioned above, a pup left inside without any type of stimulation can become destructive. Training of your pup is considered to be somewhat easy. This breed loves to be around humans, so he or she will work to please you and respond to your commands. It is important that you remain consistent and firm when you do train your pup. 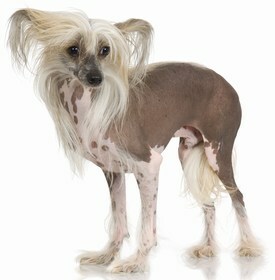 You will find that the Xoloitzcuintli is easy to care for and does not have a ton of grooming needs. You do not have to worry about brushing or clipping your pup’s coat as there is not much hair there to begin with. You do not need to give your pup a bath regularly – only when he or she really needs it. Since this is an odorless breed, you will find that your pup does not need a bath very often at all. You should make sure that if you do bathe him or her, you choose a very mild shampoo, as to not irritate the skin. 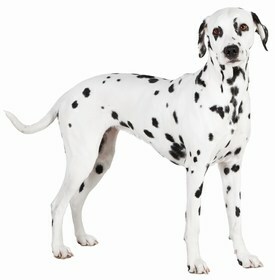 Also, you should check your pup’s skin now and again, to make sure that it is not dried out or irritated. Sunscreen is required when your pup goes outdoors. You should also check your pup’s ears once per week to clean them out and look for signs of an infection. If you notice that your pup’s ears are hot, irritated, or itchy, it is time to visit the vet. 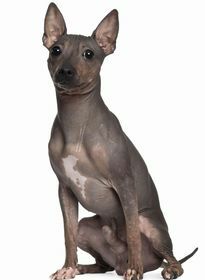 Lastly, you should keep your Xoloitzcuintli’s nails clipped and at a healthy length to prevent any snags or tears. Once a month is usually enough. The Xoloitzcuintli will consume anywhere between 3/4 cup of food and 2 cups of food per day. You should feed your pup a wholesome and high-quality brand of dry kibble that contains the best ingredients and does not have fillers or by-products in it. The cost of a Xoloitzcuintli puppy will be anywhere between $500 and $2,500. The price will vary depending on the demand for the pup and the breeder you choose. It is important to note that you will be hard-pressed to find this breed in one of your local shelters, but there is certainly no harm in trying. Ranking takes into account a few basic factors including cost, skill level needed, high vs low maintenance and how critical regular training is to success. This breed is a good choice for your home, especially if you are looking for an active pup. This breed will provide you with the affection you desire while also sitting guard and protecting your family. Your Xoloitzcuintli is easy to care for and does not have a lot of grooming requirements, but you do need to take special care to protect his or her skin from the weather. This breed ranks a 2.